Looking for the perfect ice breaker for your bridal shower? Check out these 16 Fantastic Bridal Shower Games plus lots of bonus ideas! Wedding showers packed with fun bridal shower games and activities are always a good time. If you’re planning a bridal shower, make sure at least one of these 16 wedding shower games are on your list. Adding even one or two games to the mix are all you need to ensure your guests some laughs and a good time! 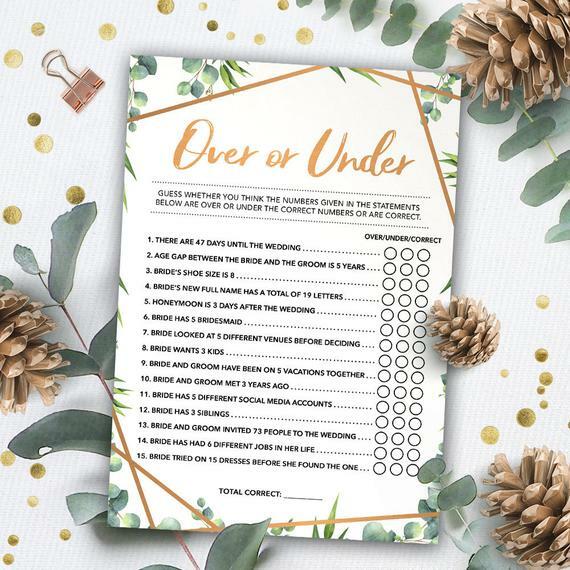 Whether you’re looking for free, easy, unique or hilarious bridal shower games, we’ve got you covered. Tired of the same old wedding shower games? If you’re looking for unique bridal shower games, play “Guess The Dress.” Give each guest a piece of paper and have them draw what they think the bride’s wedding dress will look like. Whoever comes the closest wins a prize! 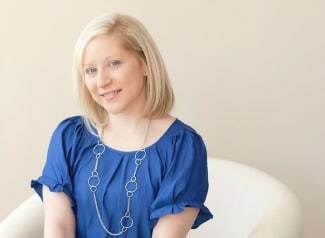 Another unique bridal shower game that the couple will love is “Favorite Dates Activity Jar”! For this activity, have guests write fun date night ideas on wooden blocks. Place the wooden blocks in a decorated jar and give to the couple at the end of the shower as a fun gift! Once they’re married, they can choose from the jar what kind of date they will have! What an easy and fun bridal shower game. Plus it doubles as a gift, so it’s a win-win! If you want your bridal shower full of belly laughs and are looking for hilarious bridal shower games, we’ve got some ideas for you! Musical Bouquet is a hilarious bridal shower game that’s the same concept as musical chairs. Get a bouquet of real or faux flowers and pass the bouquet around until the music stops. Whoever is holding the bouquet when the music stops is eliminated from the game. Another hilarious bridal shower game is the “Oven Mitts and Pantyhose Game.” For this bridal shower game, you will need at least two players. You can also play this game in groups. For this hilarious game, players will put on oven mitts and try to put pantyhose on. The first player or team to get the pantyhose on wins a prize! This is such a fun bridal shower game. Guests will certainly be entertained with this game! For more fun bridal shower games, check out 16 of our favorites below! If you’re looking for a free bridal shower game, What’s In Your Purse? is a popular bridal shower game. Just download and print this free printable game. 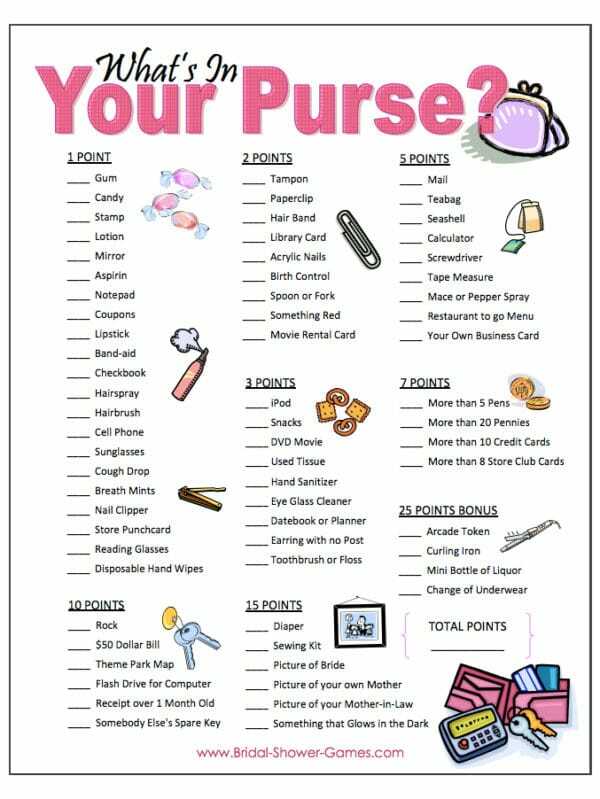 The idea behind this bridal shower game is to have guests check their purses and mark off what they have. Then everyone adds up their points and whoever gets the highest points wins a prize! 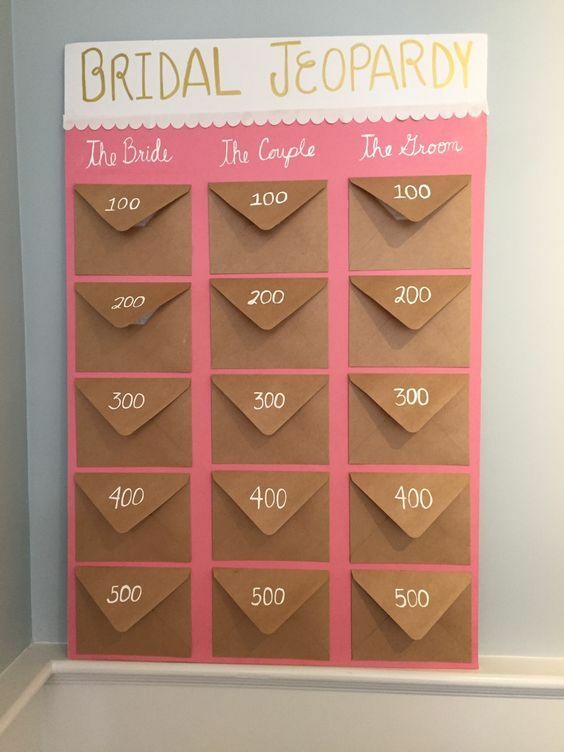 This is an easy bridal shower game you can add last minute to your wedding shower. Plus, it’s free! 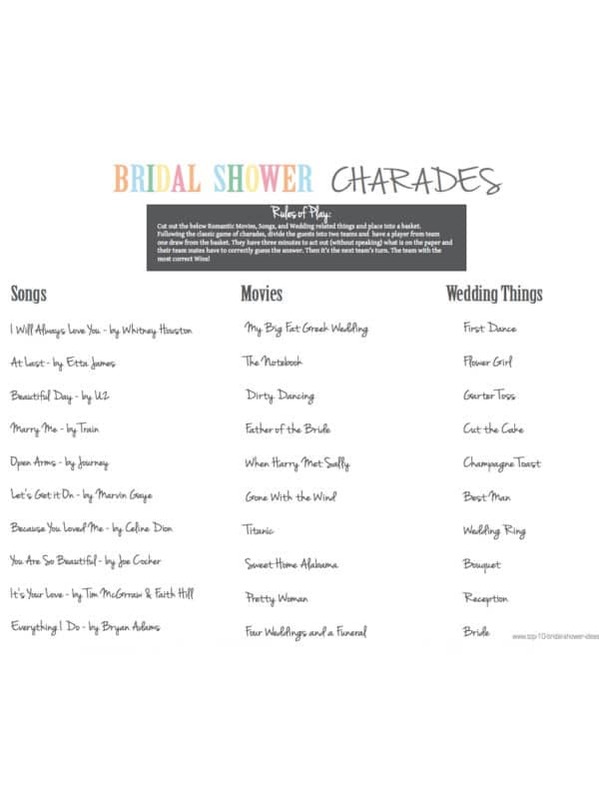 Bridal Shower Charades is another fun bridal shower game that will definitely break the ice! All you have to do is download, print and cut out the movies, songs and other wedding related things. Then place them in a basket. Divide the guests into two teams and have a player from each team draw from the basket. Each player has three minutes to act out what is on the paper while their teammates have to correctly answer. Then it’s the next team’s turn. The team with the most correct answers wins a prize! 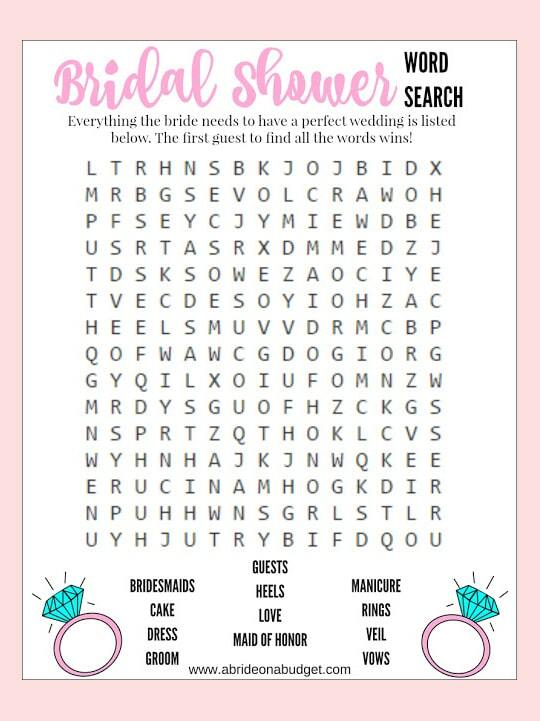 You can never go wrong with Bridal Shower Word Search! This classic game with a bridal twist is fun for all ages! The guest to find all of the words first wins a prize! Download and print this free bridal shower game to add to your activities! The Ring Hunt Game is so much fun! This is one of our favorite bridal shower games! For this game, you hide plastic rings or Ring Pops around the venue. 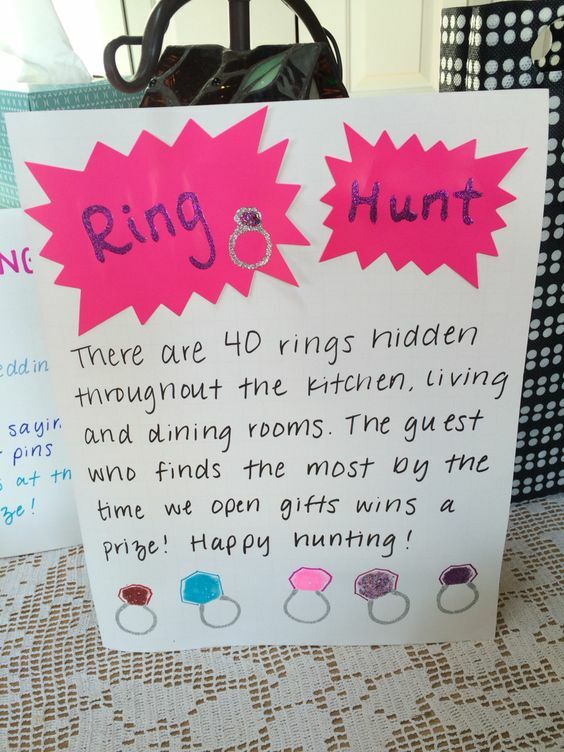 The guest who finds the most rings by the end of the wedding shower wins an awesome prize! Don’t forget to make a fun sign like this one to let guests know about the fun game! It’s such a fun and easy game to add to any wedding shower. Add some glitz and glam to an old party favorite with this Bridal Bling Ring Toss Game! 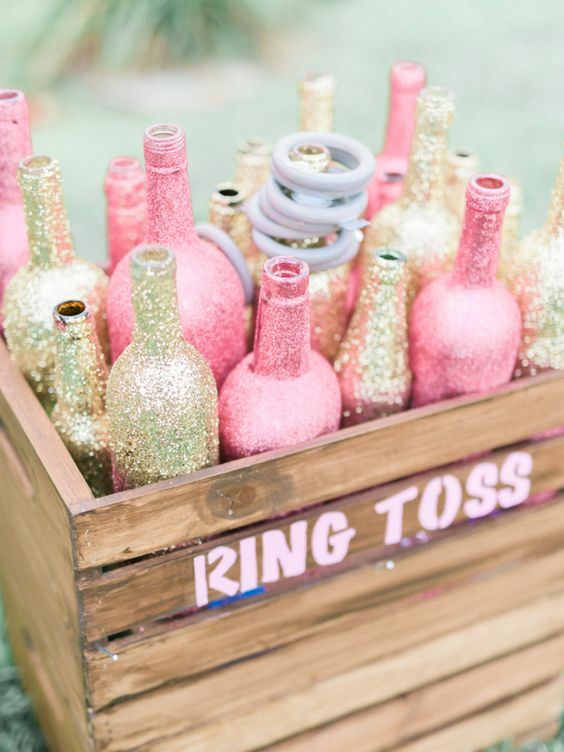 Glam up some wine bottles with pink and gold glitter and add them to a wooden box. Guests will take turns throwing the rings on the bottles. Players get 4-5 rings to throw. If they get one ring on a bottle you can give them a prize. To make the game harder, guests will have to get 2 rings on 2 bottles or 3 on 3 bottles, etc. It’s up to you! This is a great game for an outdoor bridal shower. Whoever came up with Bra Pong is a genius! What a hilarious bridal shower game! Everyone will have a blast playing this one. You can even play this at your bachelorette party! Some bras and a little DIY magic is all you need to make this fun game for your bridal shower! Fill a large jar with Hershey Kisses and play the How Many Kisses Game. 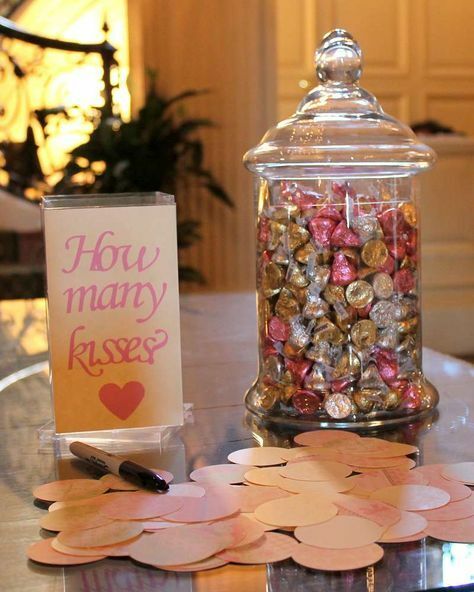 Everyone at the wedding shower has to guess how many kisses are in the jar. The person who is the closest wins a prize! What a “sweet” bridal shower game! Everyone loves a good word scramble! 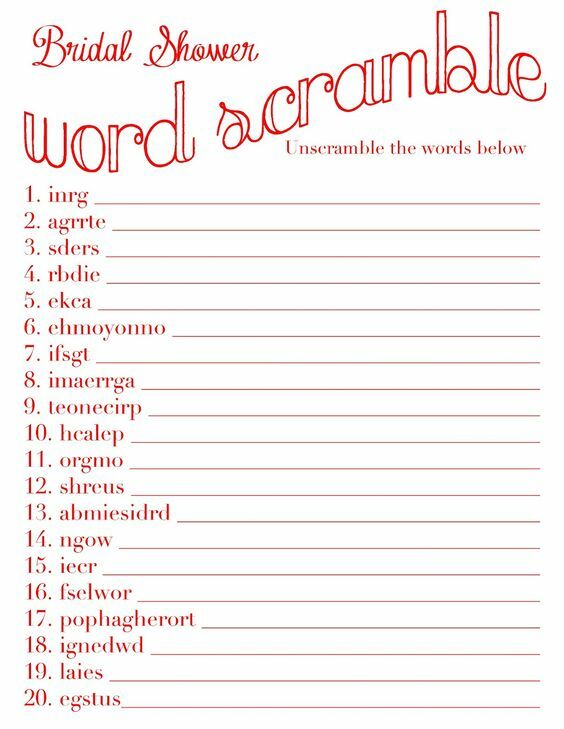 Play this Bridal Shower Word Scramble by printing out this free bridal shower game and handing it out to guests. Whoever gets the most right, wins a cool prize! Another fun bridal shower game is Guess the Bride’s Age. You can also add the groom’s photos to make the game even more fun! The person with the most right, wins a prize! This is one of our favorite bridal shower games! 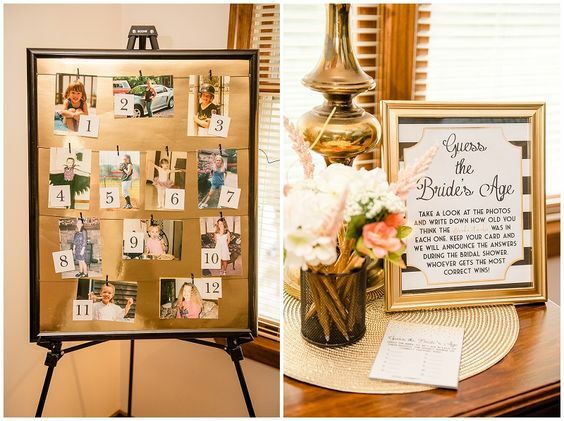 Turn the popular game show into a fun bridal shower game for the bride and her guests! It doesn’t get any better than Bridal Shower Jeopardy! Set up a board with 3 categories. Then get envelopes for the 3 categories and assign points to each envelope. We’ll take the couple for 500 Alex! What a fun bridal shower game! The Stylish Bride Game is so much fun! Give the bride thick mittens and a blind fold. Then give her several strange items to try on. The bride needs to guess what they are and then put them on correctly! Get your cameras out for this hilarious bridal shower game because this one is too funny! Everyone will have a blast playing the Toilet Paper Lingerie Game! This game also makes a great bachelorette party game. See how creative guests can be when they make lingerie out of toilet paper. What a hilarious bridal shower game! The popular Say Yes to the Dress Game will definitely keep guests entertained! 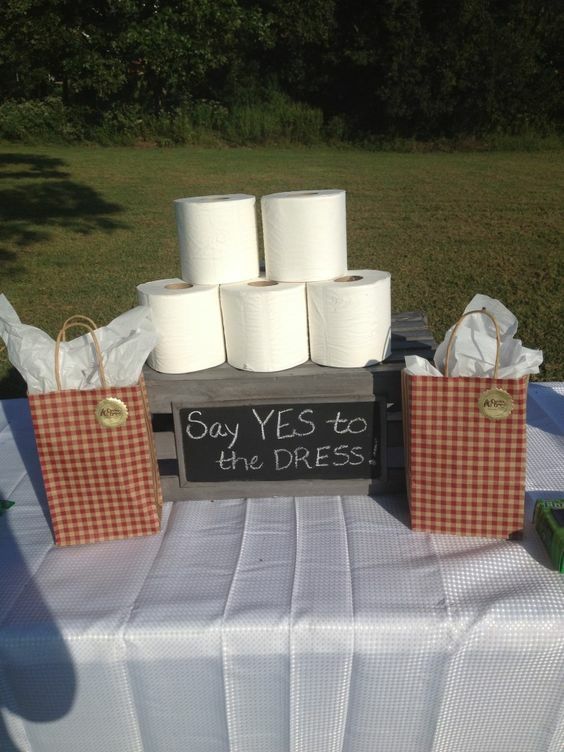 For this fun bridal shower game, you’ll need lots to toilet paper (grab the cheap stuff) and some creativity. First, divide all the guests into teams of 4 and have each team pick a person who they will dress with toilet paper. Set the timer for 10-15 minutes. Teams will dress their “bride” with toilet paper by making a wedding dress. When the time is up, each “bride” will walk the catwalk and show off their toilet paper wedding dress creation. The bride-to-be will pick her favorite and that team wins a cool prize! 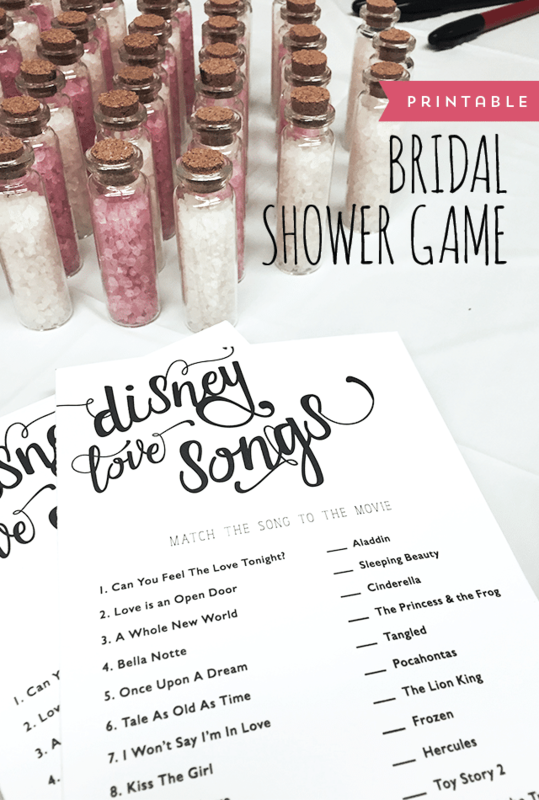 If your bride loves all things Disney then grab this free printable Disney Love Songs Game. It’s a free and easy bridal shower game you can add to your list of bridal shower fun! Looking to add some minute-to-win-it bridal shower games to the mix? This Ball and Chain Game is a clever one and so much fun to play! 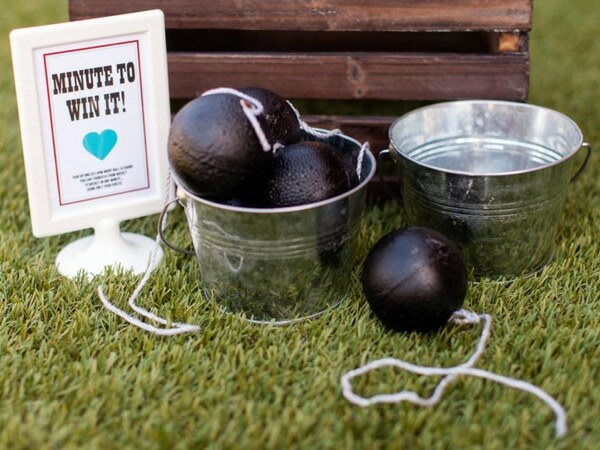 For this bridal shower game, teams pair up and try to get foam balls and chains from one bucket to another. The hitch is that you can only use your knees to transport the balls. The couple with the most balls in the bucket at the end of a minute wins. Use spray-painted foam balls and string to create the balls and chains. Another fun bridal shower game is the Over Under Game. For this bridal shower game, just download and print the game cards and hand them out to your bridal shower guests along with a pen or pencil. Guests will guess whether the number given in these statements is correct, over or under the real number. The guest with most correct answers is the winner! Do you love this list of bridal shower game for what?!?! Which one of these 16 Fantastic Bridal Shower Games will you play at your wedding shower? Let us know in the comments below!